My background is in civil engineering, and I am grateful for my CAD skills every time I design a new pop-up template or mechanism. In 2009 I licensed my designs to Sizzix to be made into dies to fit in their Big Shot die cutting machines. The dies are a fabulous way to make pop-ups – no more cutting and scoring by hand! Besides being a pop-up enthusiast, I’m also a wife to John and a mother to twins Karl and Emma. We have a high-maintenance Puggle named Lucy who likes to eat paper piercers. After a decade of living in beautiful Colorado we moved in June 2010 to Katy, Texas. Yes, I did say June. Yes, it really IS hot in the summer! I’ve got a passion for pop-ups. Watch out . . . it’s contagious! Vicki Boutin comes from a background in graphic design and fine arts and she has always been passionate about creating pretty things! Her love of colour, texture, funky patterns and photography lead her to the discovery of scrapbooking and paper crafting. She has not looked back since! In 2006 Vicki became a Creating Keepsakes Hall of Fame winner and went on to be part of Better Homes and Gardens Scrapbooks Etc’s Creative Team. Her work is currently published in Scrapbooks, Etc and Vicki writes a quarterly article for Scrapbooks and Cards Today magazine. She enjoys working closely with a number of the industry’s top manufacturers including Sassafras, 7 Gypsies, BasicGrey, Little Yellow Bicycle and Pink Paislee. Vicki is also a Ranger Certified instructor. Vicki is always on a mission to learn something new and then find a way to share it! That is where teaching comes in! She has taught workshops in the United States, Canada and Europe and loves to approach art in a fun, fresh and accessible way. Her motto is “You don’t know if it’s your style until you try it, so go for it! It’s only a piece of paper!” Her workshops offer an opportunity to meet new friends, try new things and most of all have FUN!!! Two crazy kids and a straight laced husband keep things interesting in Vicki’s home in Southern Ontario, Canada. 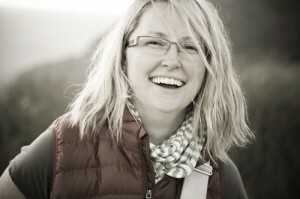 At present, Vicki is writing her first technique based book which will be available in 2012. 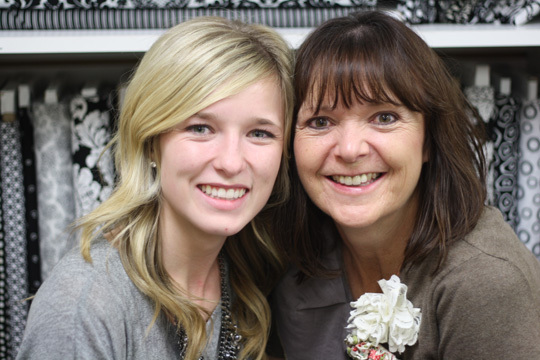 This mother and daughter duo have been inspiring each other and collaborating on projects for years. They have taught together, as well as separately, and have over 25 years of teaching experience between them. 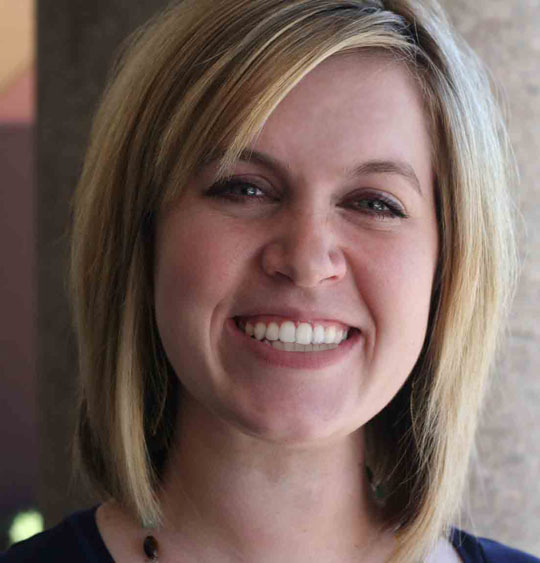 In addition to teaching locally in Mesa, Arizona, they have traveled as far as South Africa to share their love of all things creative with others. From paper crafting to designing projects with fabric, Jenaye and Kelli Collins continue to push themselves to learn new techniques to incorporate into their projects. They can often be spotted in second-hand stores searching for unique one-of-a-kind items to complete their handmade creations. From costume jewelry once worn on special occasions to buttons once found in grandma’s sewing box, they collect it all. Their work has been published in: Under the Covers, Eclectic, Creating Keepsakes, Kickin, Creative Reflections and Time & About. Not only has their love of creativity brought them closer together, it has also introduced them to many wonderful people along the way. Jenaye currently designs, creates patterns and teaches hair and fashion accessories featuring her unique style. She owns a little on-line business at www.jenayesjunque.com. 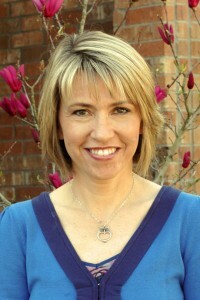 Kelli currently teaches paper crafting for scrapbooks and party favors. She loves mixing paper crafting and gift giving ideas to create little “gifts” to give to friends throughout the year. Edwards’s passion resides in that very special place where the stories and images of life intersect. Designer, blogger, educator, author, wife and mother of two, Ali is well known for capturing everyday life with photos and words and creating scrapbooks from those moments that often pass by in an instant. To learn more about Ali and her work visit www.aliedwards.com. 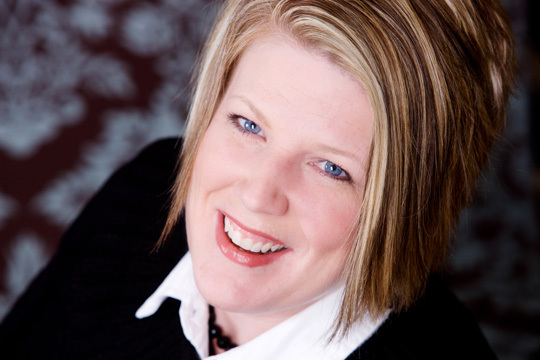 Janet is an experienced educator having taught at stores, conventions and events across the world and truly has a passion for teaching people new ways to use the innovative products on the market today. To see more examples of Janet’s work, visit: janethopkins.typepad.com. Janet is co-owner of House of 3 with Heidi Swapp and Rhonna Farrer. The site is an eclectic, fun place for crafters to find innovation and inspiration and has been a true creative collaboration that she is truly grateful for. You can see all of the digital, printable and physical products they have to offer at www.houseof3.com. House of 3 also has a physical line of product that just debuted through Pink Paislee. Janet lives in North Texas with her husband of fourteen years, Rick, and their four lovely and spirited children who are 12, 7, 4 and 15 months. Heidi has been working in her mom’s store since the day it opened. She knows scrapbooking products like non-other and she is truly the resident Bazzill cardstock expert. Show her a Bazzill color and she can recite its name and texture family in the blink of an eye. Wonder about a tool or technique and she can help you, owning most of them herself. 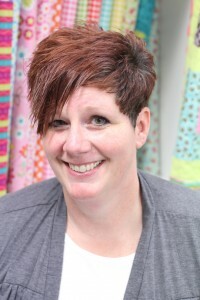 Now Heidi spends her time teaching paper and fabric projects, filling her Etsy store with original creations, and designing and consulting for Bazzill. Heidi’s favorite past time is watching bad TV and crafting, while eating peanut m&m’s. She also loves taking care of her adorable, and quite spunky daughter and hanging out with her brainy, funny husband, Paul. 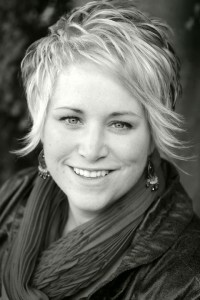 To read more about Heidi Lynn, visit her at: www.totallyheidilynn.com. Amy Totty is a native “Phoenician” and loves everything about Arizona (including the heat). She has lived in Arizona her whole life, minus a stint to Germany when she was a kid. She just celebrated her 19th wedding anniversary with her tolerant, food-loving hubby, Todd. Together they have five wacky kids, four boys and one girl – and no the girl isn’t the last one! While juggling three teens and a pre-teen still at home, she tries to squeeze in a little “Me Time” but it doesn’t happen very often. When she isn’t busy at home she is working and teaching at Scrapbooks, Etc. Amy loves everything about scrapbooking including the many friends she had made along the way. Through her seven years of teaching and designing she has met many people she is proud to call friends. She has taught at CKUs, the first Creative Escape and several charitable events in South Africa. Amy is currently teaching double-page layouts and bookmaking at Scrapbooks, Etc. She has been sewing since she was a little girl and loves that sewing is now mixing in with scrapbooking. Between the two she is in heaven. Amy’s work has been published in: Places We Love, Creating Keepsakes, Memory Makers, Creative Reflections and Time & About. She also co-authored a publication about book-making called, Under the Covers. Her heart will always call Arizona home, but someday she and her hubby hope to spend time in what she likes to call her second home…South Africa. Heidi will also be teaching during the Bazaar on Thursday.